These are a few of my favorite color and design books. 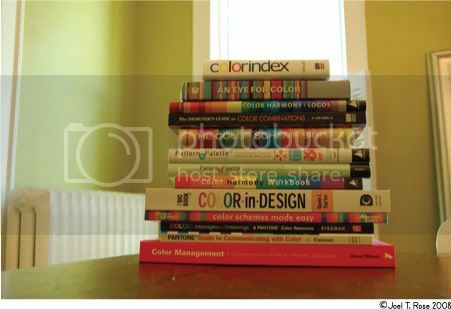 I am always on the lookout for fun new color combinations and many of these books provide either the Pantone color codes or CMYK values for tons of different color schemes. The pattern and design books are also a lot of fun to look through. I'm particularly drawn to the Art Deco style as well as anything Sixties. 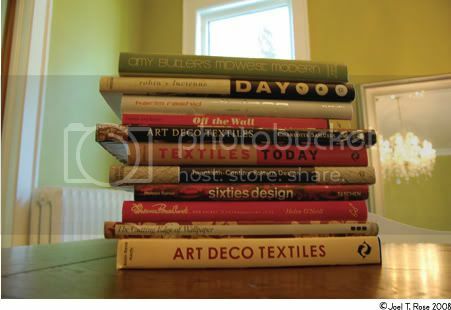 You'll also notice books from some of my favorite designers: Lucienne Day, Florence Broadhurst, Karim Rashid and Amy Butler.